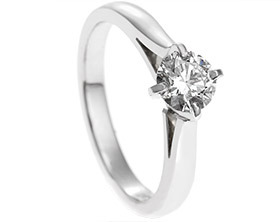 Matt spent a lot of time looking for the perfect ring for Tan but wanted something different to what was on offer within most jewellers. 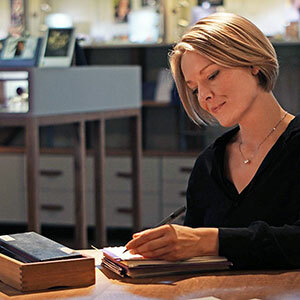 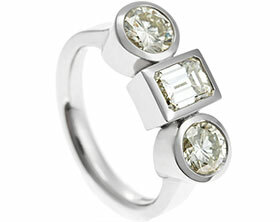 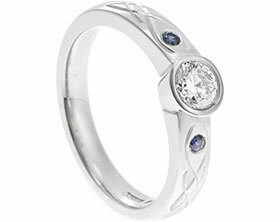 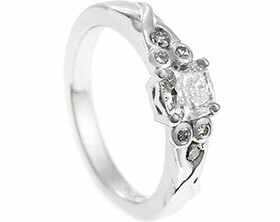 After looking at lots of styles and various designs it became clear to Matt that he wanted to commission a classic yet bespoke engagement ring with design details that would be unique to Tan. 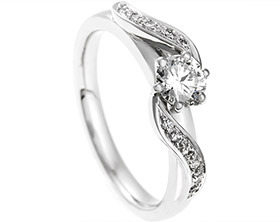 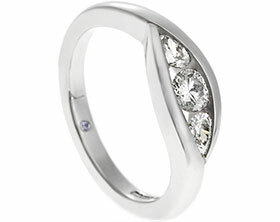 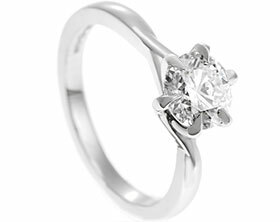 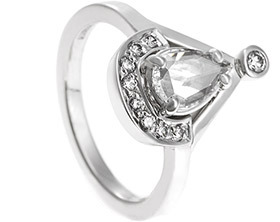 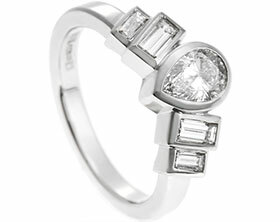 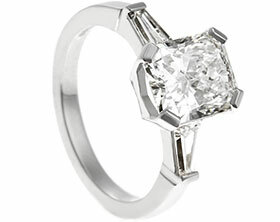 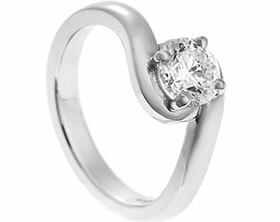 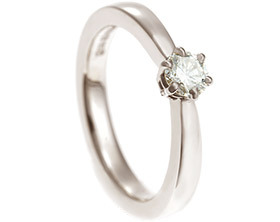 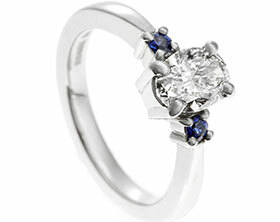 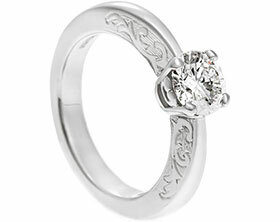 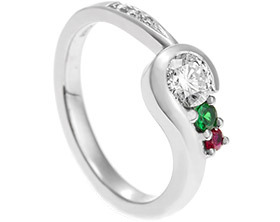 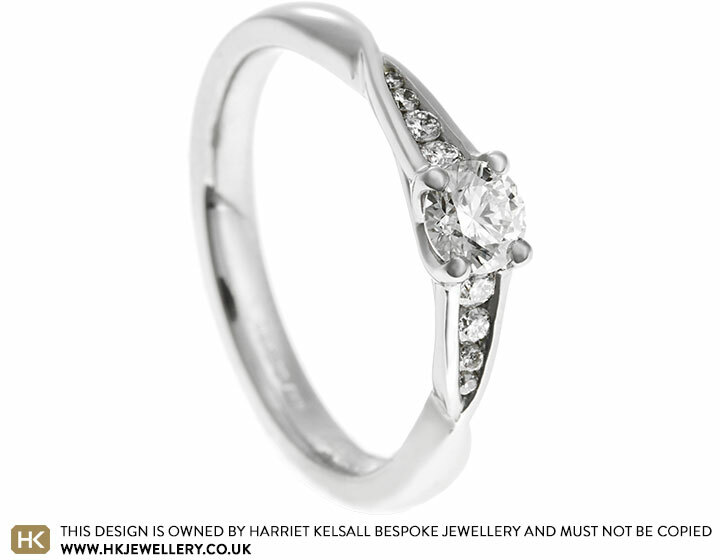 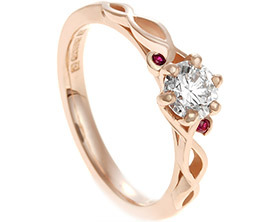 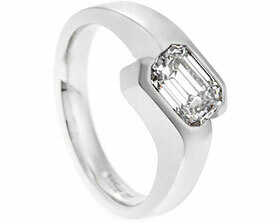 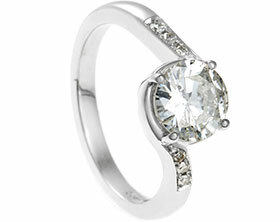 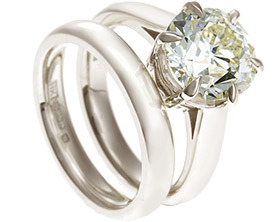 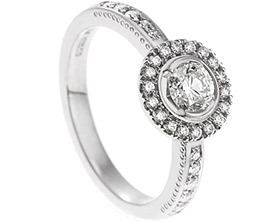 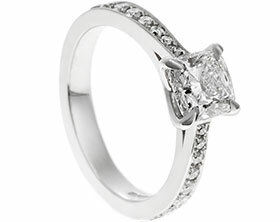 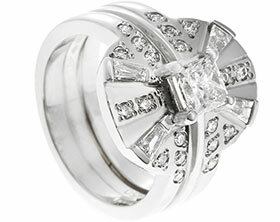 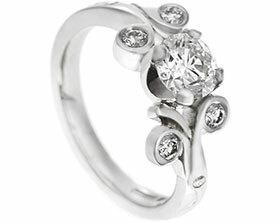 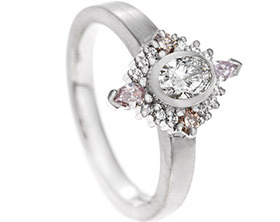 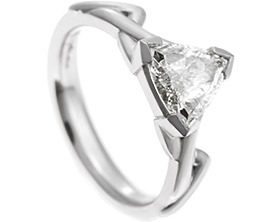 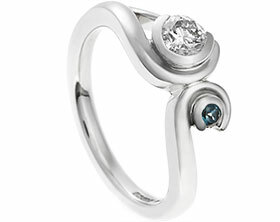 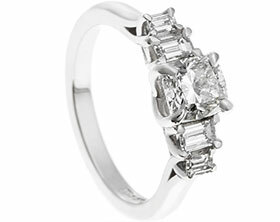 The central round brilliant cut 0.31ct, diamond is held in four claws that sweep up and cross over, leading from the delicatesplit shoulder detail. 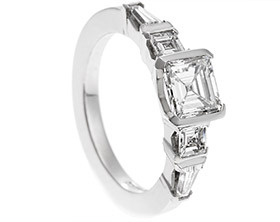 The arms of the detailing give the illusion of crossing each other before separating to hold eight graduating round brilliant cut diamonds between them, totalling 0.12ct. 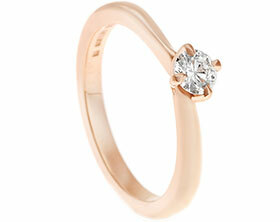 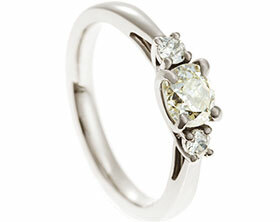 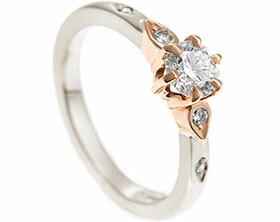 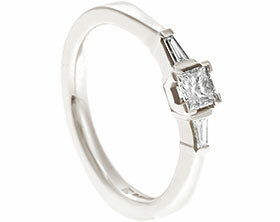 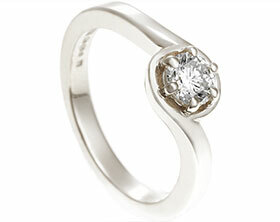 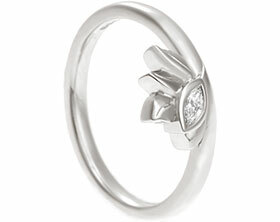 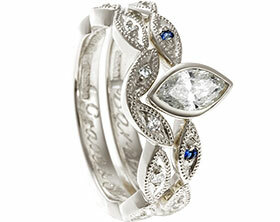 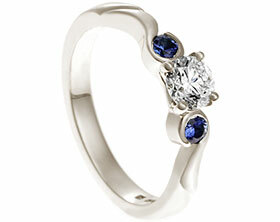 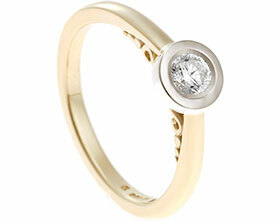 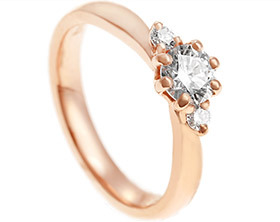 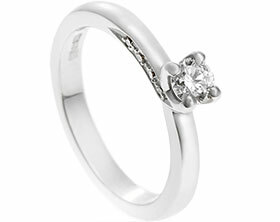 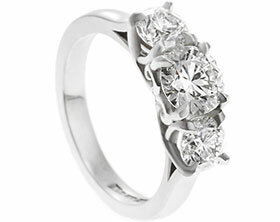 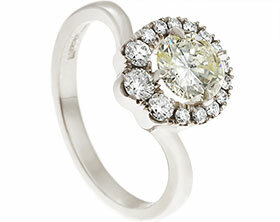 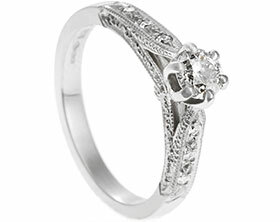 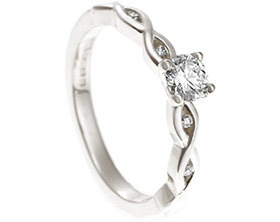 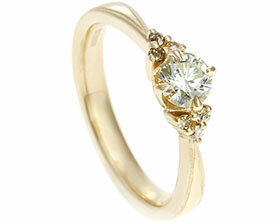 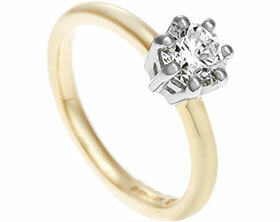 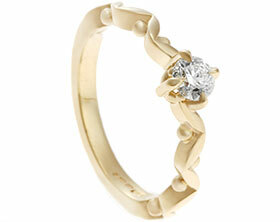 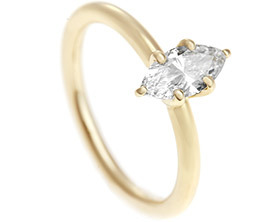 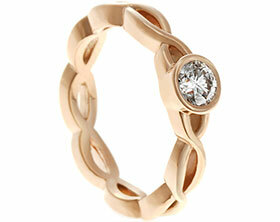 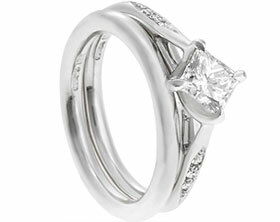 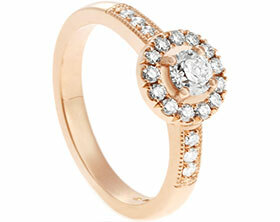 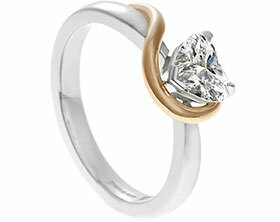 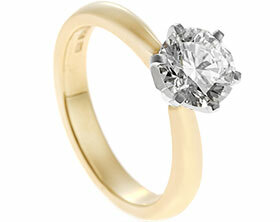 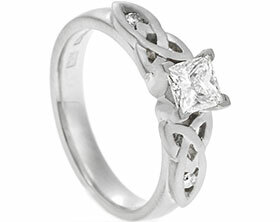 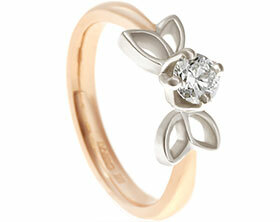 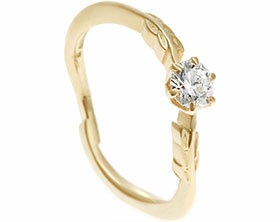 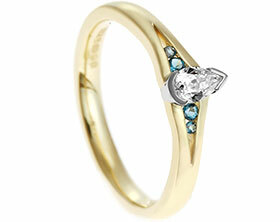 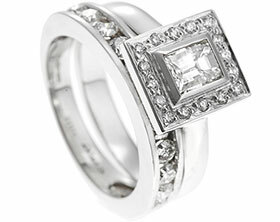 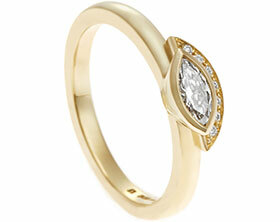 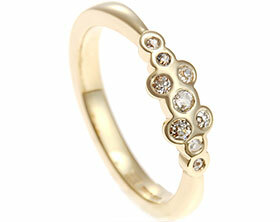 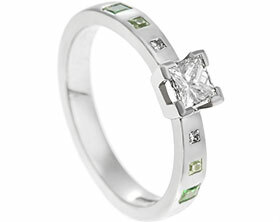 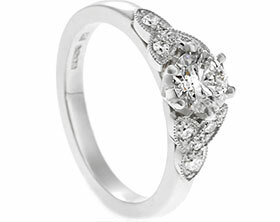 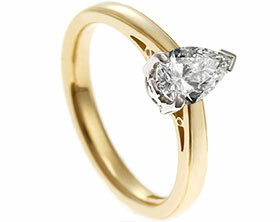 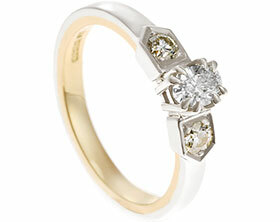 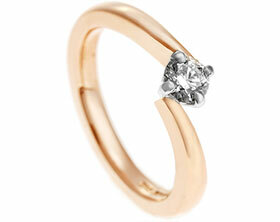 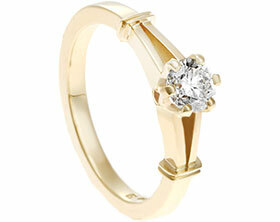 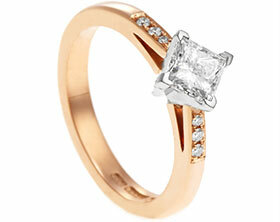 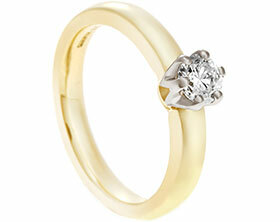 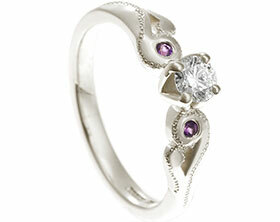 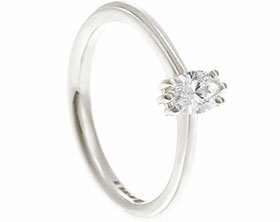 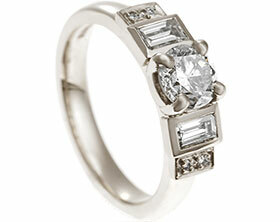 The result is a timelessly beautiful and classic diamond engagement ring that Tan can wear and enjoy forever.